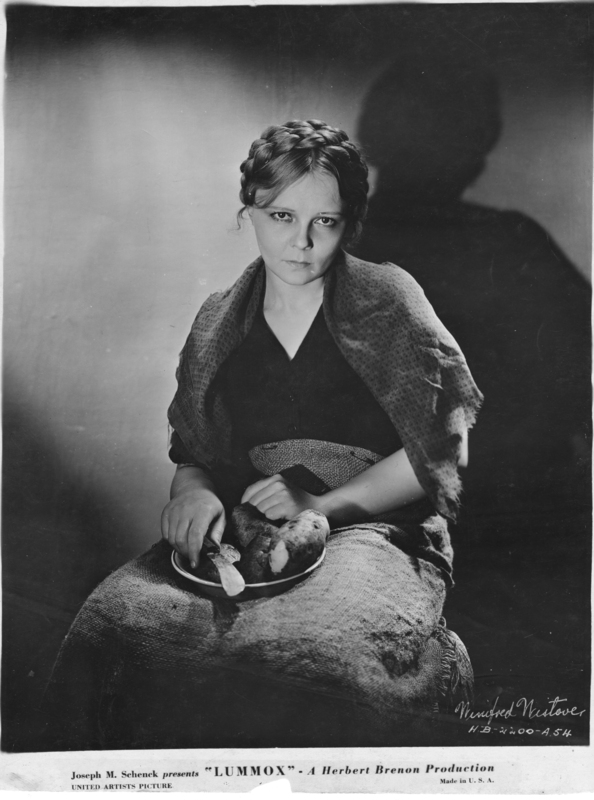 Publicity still of Winifred Westover  the ex-Mrs. William S. Hart  as the star of Herbert Brenon's 1930 adaptation of Fannie Hurst's dark 1923 novel, "Lummox." Black and white print on single-weight stock. LW2293: 9600 dpi jpeg from original print purchased 2012 by Leon Worden, donated to SCV Historical Society.